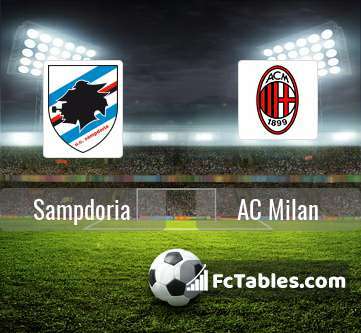 The match Sampdoria-AC Milan Serie A will start today 19:30. Referee in the match will be Daniele Orsato. Team Sampdoria is located in the middle of the table. (9 place). Sampdoria in 5 last matches (league + cup) have collected9 points. The most goals in Serie A for Sampdoria scored: Fabio Quagliarella 21 goals, Gregoire Defrel 7 goals, Gianluca Caprari 5 goals. Players with the most assists: Fabio Quagliarella 7 assists, Gregoire Defrel 2 assists, Gianluca Caprari 2 assists. In Sampdoria not occur in the match due to injury: Albin Ekdal, Edgar Barreto, Gianluca Caprari. Team AC Milan is at the top place in the table (4 place). AC Milan in 5 last matches (league + cup) have collected12 points. AC Milan has not been defeated away from 8 matches. The best players AC Milan in Serie A, who scored the most goals for the club: Gonzalo Higuain 6 goals, Krzystof Piatek 6 goals, Suso 5 goals. Most goals developed: Gonzalo Higuain 1 assists, Suso 8 assists. Injured players AC Milan: Giacomo Bonaventura. 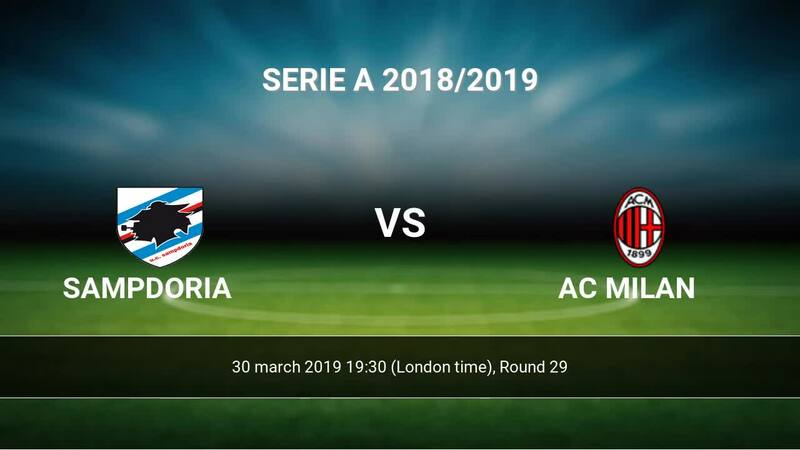 Direct matches: usually ended with winning of AC Milan. 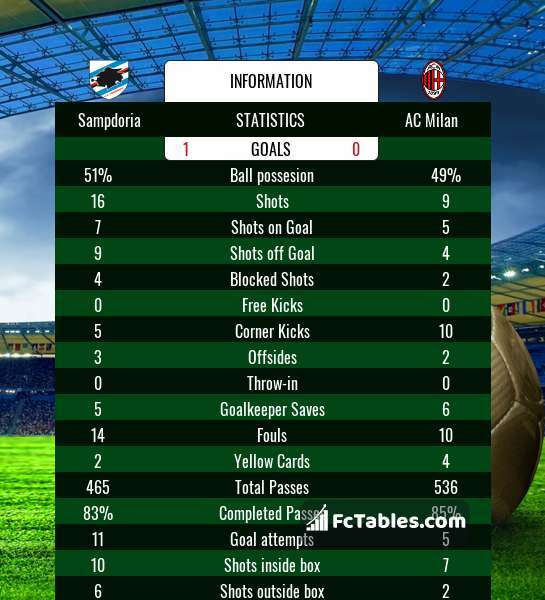 Balace of both teams games are: 7 won Sampdoria, 21 wins AC Milan, 6 draws. In 14 matches the sum of the goals both teams was greater than 2.5 (Over 2.5). On the other hand, 22 matches teams scored more than 1.5 goals (Over 1.5). In 13 matches the both teams have shot at least one goal.